November 28, 2018, 9:48 a.m. Retailers continue to battle for ad supremacy as we approach Christmas, but which brands in the supermarket sector have been most successful in grabbing viewers’ attention? 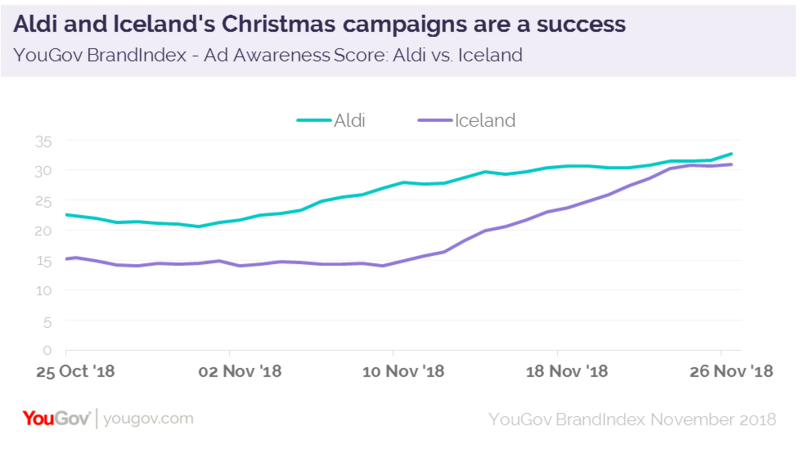 YouGov tracking data indicates that Aldi currently has the highest level of Ad Awareness (whether someone has seen or heard an advert broadcast by a company in the past two weeks) among the brands in the supermarket sector. Once again, Aldi has opted to feature its ‘Kevin the Carrot’ character, which also appeared in its 2016 and 2017 Christmas campaigns. This time around Kevin finds himself in a medieval battle with ‘Pascal the Parsnip’. Other ads in the campaign feature Kevin re-telling fairy-tales. Aldi’s Ad Awareness score has grown by 8 points, from 24% to 32% since the campaign’s release – meaning it currently tops the supermarket rankings on this metric. Tesco is currently the best of the ‘big four’ supermarkets in terms of Ad Awareness score with a rating of +31, though its uptick in score is less pronounced than Aldi’s. Notably, Iceland – the brand with only 2.1% market share – sits alongside Tesco in second. I mentioned in a previous column that Iceland has successfully harnessed the power of ad virality following its campaign’s television ban. It has seen its score improve the most of all the supermarkets, up from 15% to 31%, a rise of 16 points. Iceland also has the second highest Word of Mouth Exposure score (whether someone has talked about a brand with a friend, family member or colleague), with a current rating of 16%. Once again, on this metric Aldi comes out on top with a score of 22%. Aldi’s decision to opt for consistency and familiarity has obviously worked in terms of cut-through, crucial at a time when it will be looking to eat even further into established rivals’ market share. Elsewhere, we’re starting to see the industry giants shift away from the ‘Christmas Epic’ ad campaigns that have characterised festive periods in the past. 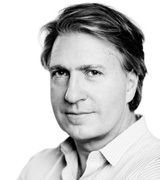 Iceland’s strategy has differentiated the brand, which may be a sign of things to come.